We are Featured in HGTV Magazine! 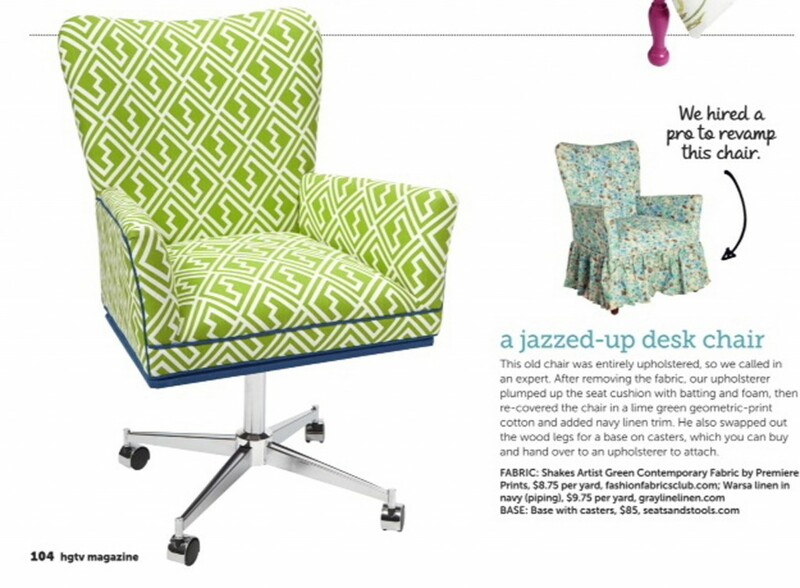 Our top-selling chair base with casters and swivel has been featured in the July/August 2013 issue of HGTV Magazine! We had the privilege to work with designers from HGTV as they modernized a typical chair. The finished product, originally an old upholstered chair was re-purposed into a chic new desk chair utilizing our base. We have a large variety of replacement seats, backs, and bases to make it easy for you to DIY your next project. And be sure to check out our feature in this months HGTV Magazine. Shop for this base and more at seatsandstools.com and head to HGTV for tons of design ideas!